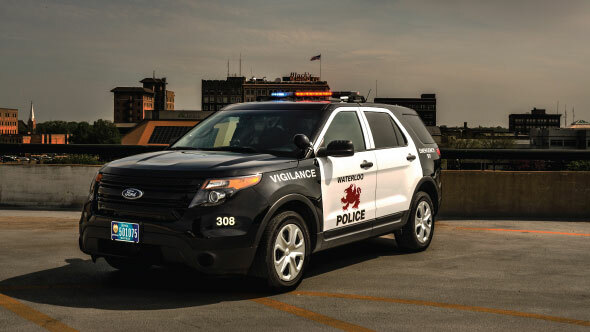 The Waterloo Police Foundation was created in partnership by the Waterloo Police Protective Association (WPPA) and the Waterloo Chief of Police. They are working together to enhance and build relationships with the citizens they serve, particularly the youth. The Police Foundation invests in innovative community based outreach programs to help build positive relationships between police officers and the community. This partnership also gives police and the community shared responsibility for identifying, reducing, eliminating and preventing problems that impact our community’s safety. By working together, our goal is to improve the quality of life in all neighborhoods in Waterloo. For more information- www.waterloopolice.org/foundation. “Cops and Kids” program, including Christmas shopping event and back to school shopping. Waterloo Police Department Employee of the Month program. The named officer will designate their recognition award of $200 to a charity of their choice. Situational community policing efforts initiated by Waterloo police officers. When an officer sees a situation in the field such as a stolen bike or a young person doing a good deed, funds are available to immediately rectify a situation, reward a youth for doing the right thing or just to get to know youth and their perspective. To learn more, contact the Foundation at 319.883.6022.